Implants with Highest Success Rate ! * Implants are fixed into your mouth. The first step in the dental implants treatment is a consultation with Dr. Truong, during which all possible tooth replacement options will be discussed. Dr. Truong has a vast knowledge of dental Implants and will customize your treatment. To be a good candidate for dental implants, you must have sufficient bone in the jaw to support the implants. Our digital 3D scan (less radiation than traditional X-rays) will allow us to determine if you are a good candidate. 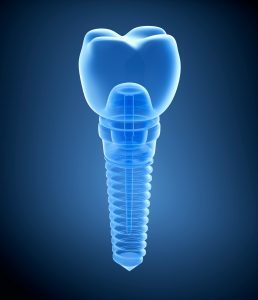 A dental implant is a titanium post ( like a tooth root) that is surgically positioned into your jawbone, beneath the gum line. Once implant is placed, patient returns to our office for custom-crafted abutment and crown that will look and feel like your natural teeth. Implants will serve its owner for life. When both the tooth and root are damaged, the best permanent replacement is a dental implant in conjunction with a ceramic/porcelain crown. Dental implants are solutions for replacing single or multiple missing teeth. Many of our patients prefer permanent dental implants over traditional removable dentures for obvious reasons such as comfort, esthetic and enhance quality of life. Dental implants are nearly indistinguishable from a patient’s natural teeth, unlike dentures which look artificial. While traditional dentures need to be removed nightly for cleaning, dental implants are a permanent tooth loss solution that require no additional maintenance outside of a good oral hygiene routine. Dental implants also allow patients to feel more comfortable while speaking and eating because implants are permanently affixed to the patient’s jaw and won’t shift or slip as with traditional dentures. 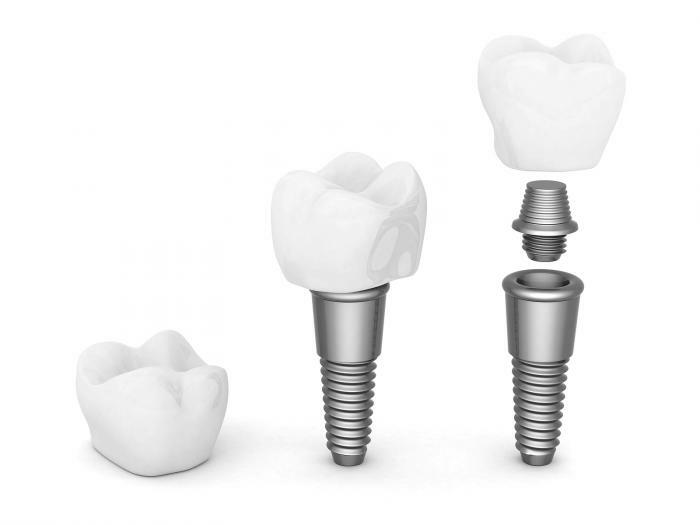 Please see All-on-4 Dental Implants for more information.